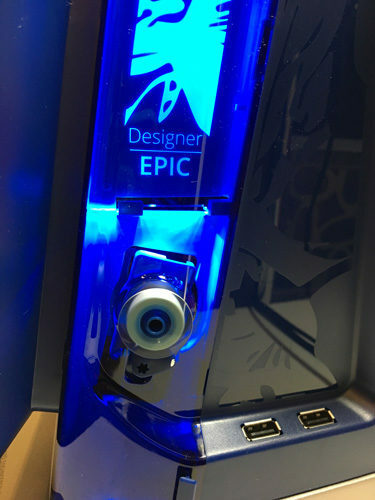 A few months ago, Viking sent me a Designer EPIC to stitch on, and after running it through its paces, I’m ready to tell you all about my experience. Spoiler alert: I love this machine. 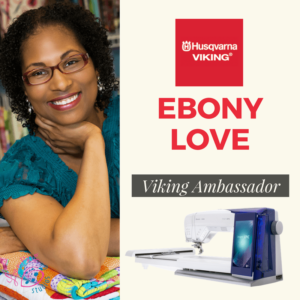 I announced back in March that I’m a new Viking Ambassador. Part of being an Ambassador means representing the brand out in the world and teaching everyone what I do and what I’m stitching on. It also means that to make this possible, Viking sends me free product (like my EPIC) to use, and in exchange I will share things with you here on my blog and on social media. Although this post is sponsored content, all opinions expressed are fully my own. There is rarely a day that goes by that I am not sewing something. This is my life now; I’m either working on samples, or testing patterns I plan to release, working on video tutorials, or experimenting with techniques. 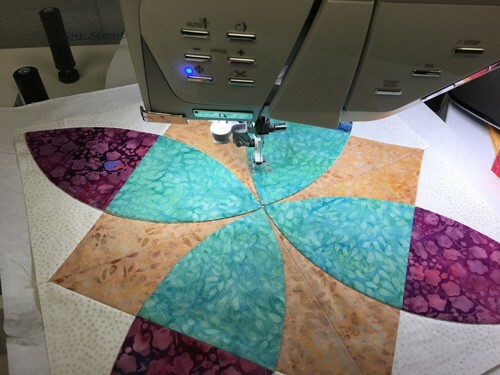 My sewing machine is on all day, every day, so it’s important that I have a machine that can keep up with me. Last year it hit me: if I love Viking so much, why don’t they know it? So I told them, and that’s how we got here. So let me tell you about the EPIC. I saw this machine at a show, maybe 18 months ago, and just fell in love with it right away. Yes, it’s a gorgeous machine, but focusing on how it looks does a disservice to how powerful it is and how well it stitches. I can’t help comparing it sometimes to my Sapphire (which I still have but has been neglected for sure!) but it has great features in it’s own right. Here are 7 reasons I love my EPIC – in no particular order. I am stubborn for sure! I can thread my own needles, thank you very much. I refuse to use needle threaders. I’ll never forget the day that I went to my optometrist though and she informed me that I needed bifocals. I still refused to avail myself of needle-threading options, because I don’t like admitting that I need help with simple tasks. The beauty of having an automatic threader though is that it’s not about needing assistance, it’s about the pure bliss of having a technical marvel at my fingertips. As an engineer, I love tools and technology, so this is right up my alley. I will sometimes unthread the needle on purpose just so I can use the needle threader. Whoops! Did that just come unthreaded? Guess I need to press this button here to thread the needle! Seriously. Have you seen it in action? Here’s a little video for you. Do you see how quick that was? You’d be unthreading your needle on purpose too. The bobbin door has a side switch that opens it on my EPIC, not a front slide opening like my Sapphire, which means less awkward bobbin changes when I have my Sew Steady table in place. 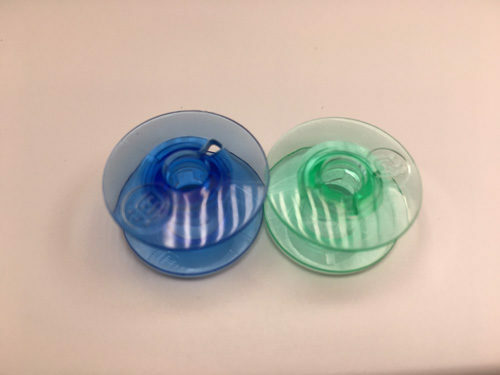 In general, I love drop-in bobbins because I don’t have to fuss with the bobbin case. Speaking of!!!! 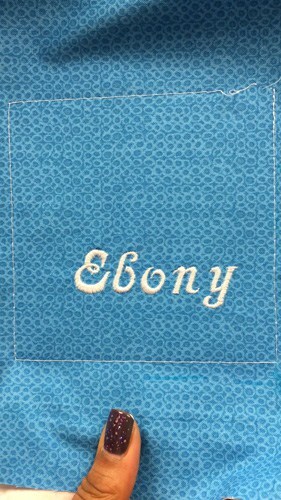 My EPIC embroiders! I had an embroidery machine for about a year and honestly I was so intimidated by it that I was scared to use it. I even told Viking that I was scared to embroider, and their answer was to help me conquer my fears by sending the EPIC. After doing some embroidery, I am now wondering what on earth I was so scared of! You guys! This machine is connected to the internet! I have cloud storage! And there’s an app for that! 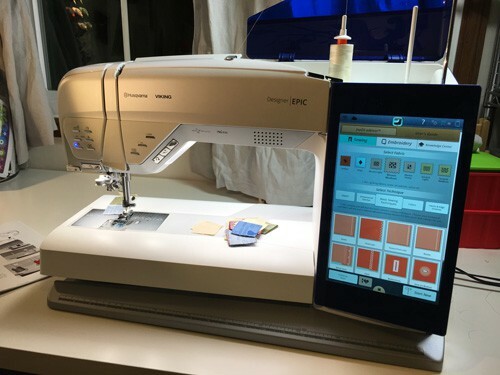 Seriously, one of the coolest things, which goes along with the embroidery, is that the machine can send me notifications to my phone while it’s stitching out. 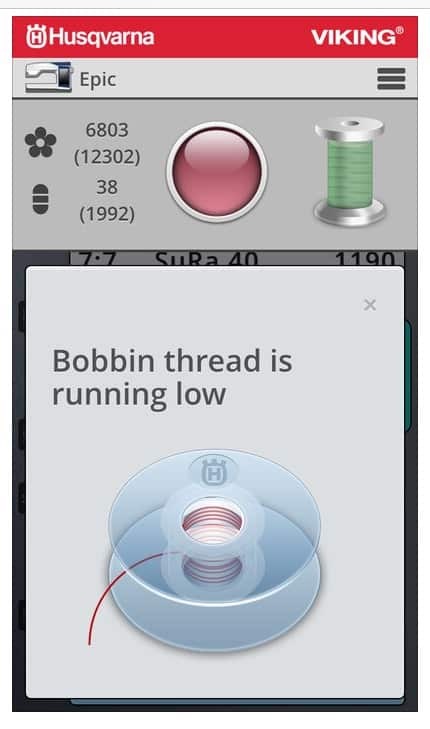 It will tell me if I need to change thread colors, switch to a different needle, or if my bobbin thread is running low. It will also ping me when it’s finished! I have a computerized long arm, and I don’t like to leave the room when it’s running, but I feel more confident about leaving the EPIC while I go do something else, knowing that it will let me know if it needs my attention. My Sapphire was capable of saving favorites, but you couldn’t give them names and you had to remember what each stitch was. I had to write down on a cheat sheet, and it always took 4 or 5 button presses to load my most-used stitches. Not anymore! To show you how great this is on the EPIC, I recorded this video to give you a tour through two methods of saving favorites. 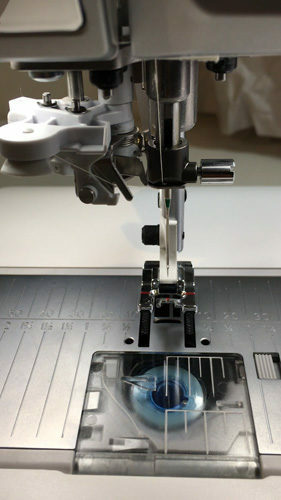 First, if you have a go-to stitch you use all the time, you can save it as a Smart Stitch and load it in one touch of the button. 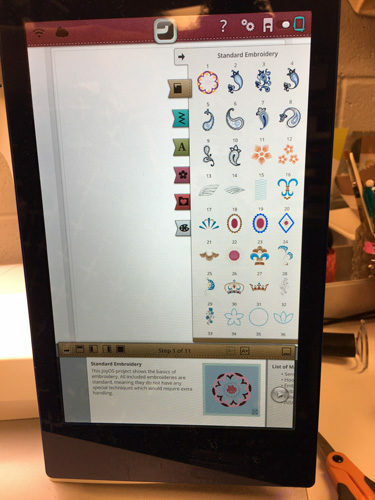 If you have other stitches you use a lot, you can save them to a favorites folder, and give them really descriptive names so you know what’s what. Have you seen the lights on this puppy? It’s like pure daylight under the harp. And that means less eye strain, more precision, and a more enjoyable experience. I took this photo at night so you can see just how bright it is under there. The entire harp is lit with no shadows. (The shadow you see cast from the top left of the machine is another task light to the left – doesn’t it just pale in comparison? I also find that I can work longer with better lights. It’s amazing what good lighting can do! What would you like to learn about this fabulous machine? Let me know and we’ll do some video sessions!